Police released surveillance pictures from one of the six homes broken into in the last month. 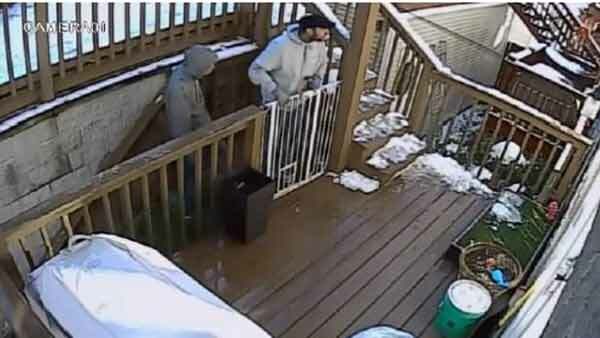 CHICAGO (WLS) -- Police are looking for at least two men linked to a series of home burglaries in Chicago's Lincoln Park neighborhood. Police released surveillance pictures from one of the six homes broken into in the last month. In each case, a burglar broke in through a glass door or window. The majority of the break-ins happened in the late afternoon hours, police said.